The Academic Writing Centre to Hold a Workshop for Speakers of English and Irish. De bharr stádas mionlaithe na teanga, bíonn deacrachtaí le sárú ag duine ar bith a théann i mbun pinn sa Ghaeilge, cuma más cainteoir dúchais nó ‘nuachainteoir’ atá i gceist. Ach ainneoin na bhfadhbanna áirithe a bhaineann tuisle asainn ar fad, tuganntaighde shochtheangeolaíochta le fios gur buntáiste is ea an dátheangachas agus gur minic a bhíonn cumas cognaíoch níos airde ag an té a bhfuil dhá theanga ar a thoil aige. Sa cheardlann idirghníomhach seo, tabharfar aghaidh ar na príomhdheacrachtaí a bhíonn ag cuairteoirí ag an Ionad Scríbhneoireachta Acadúla. Ach, thairis sin, féachfar ar na bealaí ar féidir leas a bhaint as an gcumas dátheangach chun argóintí snoite a chur in iúl agus guth acadúil sainiúil a fhorbairt. Due to the minority status of the language, writing in Irish entails various challenges for both native and non-native speakers. Yet despite these challenges, research shows that bilingualism is advantageous, as bilingual speakers often benefit from higher cognitive skills. This interactive workshop will address the main challenges faced by visitors to the Academic Writing Centre. In addition, the workshop aims to highlight how bilingualism can facilitate academic argumentation and the development of a well-defined academic voice. The workshop will take place on Wednesday 4 February at 5pm in the Library Training Room. The Library is pleased to announce that from Monday 26th January 2015 all Inter Library Loans materials will be available for collection, and return, at the Library & IT Service Desk. This will extend the hours for Inter-Library Loan (ILL) collection from office hours, 9-5, to full Library opening hours. If you have a query relating to your ILL loans please continue to contact the ILL Office as usual at ill@nuigalway.ie or ext. 2541. Event Description: A session to help students find relevant journal sources for their extended law essays. Aimed primarily at Undergraduates. Not subject specific enough for LLM in Human Rights students. •Irish, UK, European and International Law Journals. This Monday Jan. 26th we offer an introduction to using the library's search and discovery tools to find the books and journals you need for your study and assignments. This is aimed specifically at Mature Students, although all students are welcome. or make your way to the Library Training Room on the ground floor for the 7.30pm start. Here at the NUI Galway Library, we are further embracing digital initiatives by promoting academic partnerships, while also providing services for NUI Galway’s digital outputs and holdings. Our main aims are to enhance digital offerings to students, the teaching and learning community, and researchers. We believe this will build on our proud history of creating, providing support for, and promoting publications, research data, institutional data, archives, open access to research, and identifiers. 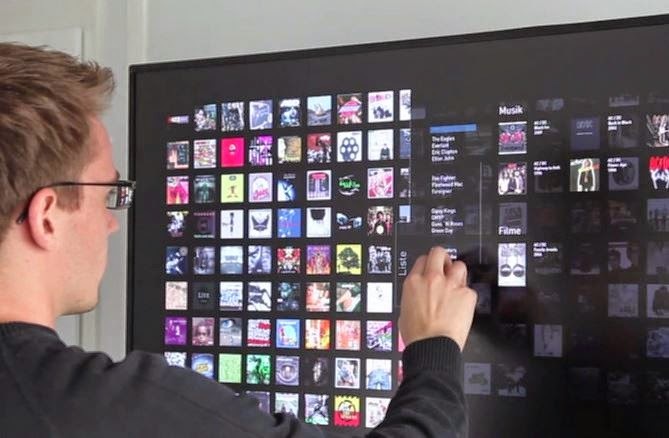 Over the next two years many of these digital programmes and services will be brought into operation. NUI Galway's open access repository of research publications collects, preserves, and makes freely available scholarly communication, including peer-reviewed articles, working papers and conference papers created by NUI Galway researchers. ARAN widens your research reach, discovery, citations, and thereby increases the University’s rankings. Read more about ARAN, NUI Galway’s open access repository. We are committed to making archival material available online. Digitisation and preservation opens up access to these valuable resources and allows them to be used and enjoyed by all. Recently, changes to our IT infrastructures and workflows provide for a unified and solid platform for all digital content and initiatives. This digital archive work is in development and pilot projects are due in quarter three 2015. The pilot projects focus on existing and new archives, for example the Tim Robinson archive and the Brenden Duddy archive. The Library is planning to provide a platform and service to bring together University resources to facilitate researchers in the management of high quality data with potential for long-term use. Research data platforms support modern research integrity, legislative change and compliance, and funder policy requirements. This research data management work is in development and the pilot platform is due in quarter three 2015. DOIs are digital object identifiers, which are widely used and recognised in the publishing world. DOIs provide your research and University publications with recognised identifiers and provide for deeper discovery and linking. The Library has purchased an online software service that allows us to create NUI Galway DOIs programmatically (via an API) or manually (via web forms). This DOI service is currently being tested and piloted, with full launch expected in quarter two of 2015. Makerspaces contain equipment such as 3d printers, electronics kits, and computers. They are an organised space to learn through making, breaking, and fixing. The Library has secured seed funding for a makerspace via the Student Projects’ Fund and a project to create such a space in the Library has started. The makerspace is expected to be launched in quarter three 2015. Our vision is to further enable NUI Galway's digital scholarship by meeting the growing demand for advanced research expertise and digital library services at NUI Galway. Digital scholarship employs state-of-the-art technologies to transform the ways in which teaching, research, and scholarship are both performed and preserved. 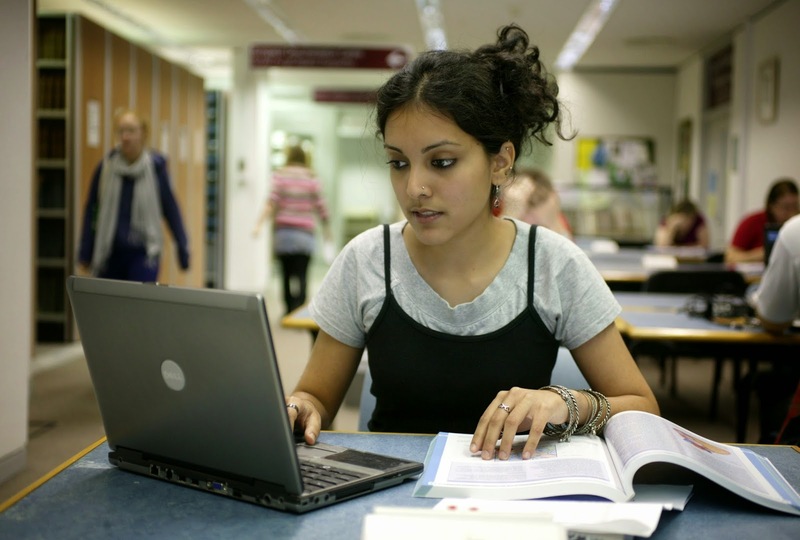 Digital scholarship centres offer the support needed for the full life cycle of research in the digital age and are increasingly common in US universities where they are commonly based in libraries. Documents from a recent workshop on trends and good practice in digital scholarship centers gives a good sense of their potential and should promote further discussion. Simply put, our digital library programme will enable digital scholarship for NUI Galway. It also aims to support related digital initiatives elsewhere in the University and to participate as a partner in projects locally, nationally, and internationally. At the core of this strategy, is our own recognition that the Library is only one of many participants in innovative projects focused on collections of digital materials and data on the NUI Galway campus. Other participants include the Moore Institute for the Humanities and Social Studies, Insight @NUI Galway, the Whitaker Institute for Innovation and Societal Change, Acadamh na hOllscolaíochta Gaeilge and the Huston School of Film and Digital Media. Read more about our Digital Scholarship Enablement Strategy. Your input, perspective, work, partnership, and advice will continue to be valued as we launch and continually evolve Digital Library activities. The Library now has access to a new Spanish e-book collection, EEO Edición Española Online. This collection contains 679 e-book titles primarily from the subject areas of Spanish language, literature, social sciences and history. Titles are from selected Spanish scholarly publishers. The e-book collection can be searched as a whole but there are also individual catalogue records available for each title. Access to EEO Edición Española Online is available on the library catalogue via the library website. 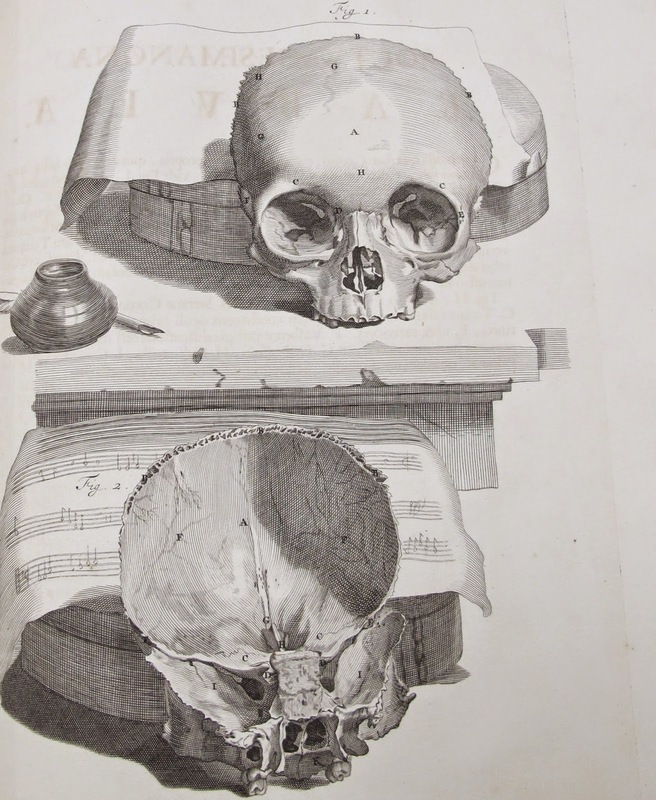 The Special Collections Lunchtime Lectures Series 2014-2015 will continue on Wednesday Feb. 4th with "Bodies of knowledge : the early days of anatomy in Galway" by Alexander Black, Anatomy, School of Medicine. Anatomy was one of the founding departments of Queen's College Galway and was viewed at the time as a rather distasteful, if necessary, field of study, yet to be completely separated from its sibling discipline physiology. Anatomy is a visual and tactile subject, and perhaps relies on images and illustrations more than any other academic discipline. This talk will cover the early days of anatomy in Galway, and will illustrate the importance of anatomy to society, society to anatomy, and medical imaging to medicine. A selection of anatomy material from the Old Library Collection will be on display during the talk, and all are welcome to the G011 Seminar Room in the Hardiman Building at 1pm. The accompanying "Art of the Unseen" exhibition of anatomical illustration will run in the Special Collections Reading Room during the month of February. Mobile technologies are becoming a standard teaching tool in the classroom. However, as an ever-growing range of devices and apps come on stream, many teachers are struggling with a technological skills gap. To help combat this gap, NUI Galway’s School of Education, will host the First International Conference on Mobile Technology in Initial Teacher Education (MiTE) on Friday and Saturday, 23 and 24 January, in the Galway Bay Hotel, Salthill. The two-day conference will celebrate the possibilities and explore the challenges of integrating mobile technology in teacher education and provide a forum for practitioners to come together to benchmark and share best practice. Speakers include experts in the field of mobile technology including representatives from CalStateTEACH, California State University, Apple, Google and national and international education institutions. Punya Mishra, Professor of Educational Technology and Director of the Master of Arts in Educational Technology programme at Michigan State University, observes that technologies become obsolete as quickly as they arrive. This rapid rate of change is a challenge for educators and leads to an increased pressure on teachers to learn new ways to incorporate technology into their teaching. Professor Mishra, an internationally renowned pioneer in the area, will give a keynote address at MiTE. This conference is open to parents, teachers and students who are interested in seeing and hearing how mobile technologies, for example, smartphones/tablets, can contribute positively to the learning processes within our classrooms today. To find out more see www.gratek.ie/mite2015. All undergraduate students are invited to try their hand in the AWC Annual Writing Competition. Lecturers please promote to your students. The winner's essay will be published in the Sin newspaper and on the library website. He or she will also receive an iPAD. Other entrants will get feedback on their work. We offer free one-on-one tutorials on all aspects of academic writing. We can help you to get rid of grammatical errors and find a better way to express and organise your ideas. If you are blocked, we can help you to start writing. Irish-language service: 6-8 on Mondays and Tuesdays. DROP-IN TO THE AWC, AND LET US HELP YOU. 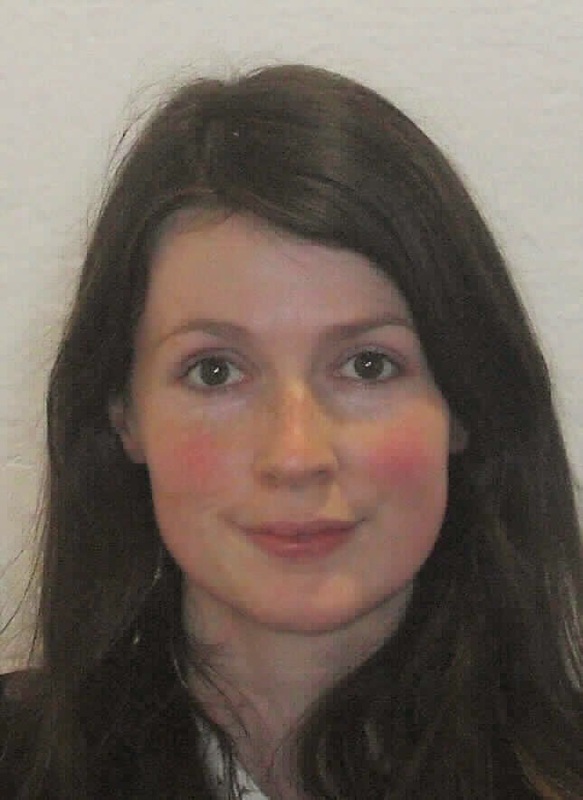 Aisling is the Digital Archivist at NUI Galway, and has worked in the James Hardiman Library since 2012. Before that, she worked in the Royal College of Surgeons in Ireland, and in Met Eireann. Aisling is currently involved in the Abbey Theatre Archive Digitisation project, being a 4-year collaboration between the two institutions, in which NUI Galway is digitising and providing on-campus access to the rich archive of the Abbey Theatre. The collection pre-dates the theatre’s foundation in 1904, with material from its predecessor, the Irish Literary Theatre included. Programmes, scripts, set and costume designs, posters, as well as comprehensive financial and administrative records are all included in this archive. The aim of the digital project is to expedite researchers’ engagement with the archive, meaning a keyword search for a particular production can open up all the records relating to that production at a few clicks of a mouse. She is also working on cataloguing the archive of social cartographer and writer Tim Robinson. A beautiful archive, which includes not only his maps and manuscript material, but also a comprehensive town-lands index, Robinson plots geological, historical, and ecclesiastical monuments throughout Connemara, the Aran Islands, and the Burren. He also records local lore, stories, and anecdotes, and notes the names of local people who have given him information. This research process is the foundation of his mapping, and carries on into his writing. A dedicated exhibition, ‘Interpreting Landscape: Tim Robinson and The West of Ireland’ is currently on display in the foyer of the Hardiman Research Building. Aisling is part of the Archives and Special Collections Team which operates its service out of a dedicated reading room on the ground floor of the Hardiman Research Building. The Archives and Special Collections team are here to help you access our unique archives, rare and antiquarian books, newspapers, and maps, some of which date back to the 15th century. The Library is running a whole host of training events this semester. These sessions cross the spectrum of research and Library resources. So take some time to check out what is available and if you like what you see please book a place or recommend the sessions to your students. Remember sessions are always being added so it is advisable to regularly check our calendar and library blog. The Library has recently subscribed to a number of new resources in the areas of theatre and popular culture, personal writing and social work. This collection features a wide range of primary sources related to the arts in the Victorian era, from playbills and scripts to operas and complete scores. This is a comprehensive reference work covering all aspects of the Canadian and American It is the largest reference initiative ever undertaken in this subject area, a major reference tool containing tens of thousands of pages of key, in-copyright reference works available electronically for the first time. This online collection spans more than 400 years of personal writings of women from England, Scotland, Ireland and Wales. This resource provides social work students and researchers with a reliable and up-to-date place to start their research. 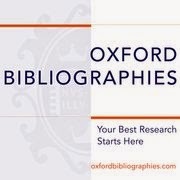 The Oxford Bibliography series filters resources and scholarly information for quality research. Need Help Finding Information For Your Assignments and Essays? In 2014, the social cartographer and writer Tim Robinson generously donated his archive to the James Hardiman Library. This beautiful collection includes a comprehensive index of the town-lands of Connemara and the Aran Islands, several hundred maps, and almost 80 boxes of manuscript material. Compiled over several years of walks through the landscapes of Connemara and the Aran Islands, the town-lands index records the geological, historical, and ecclesiastical features of each town-land. It also notes local stories, legends, and anecdotes, and credits the local people who have given him the information. A line can be traced between this index and Robinson’s maps, with many of the features that are described, plotted. Tim’s papers, documenting his research, writings, and engagement with the local community, form a substantial part of the collection. To celebrate this remarkable archive, a new book entitled Connemara and Elsewhere, edited by Professor Jane Conroy, was published by the Royal Irish Academy in association with NUI Galway. Also, Vincent Woods, host of RTE Radio's Arts Tonight series, visited the Hardiman Library to view and explore the archive as well as visit and interview Tim Robinson himself at his home in Roundstone, Co. Galway. You can click here to listen back to the Arts Tonight special documentary on Tim Robinson, the man and the archive. The Interpreting Landscape exhibition, opening up the Tim Robinson archive, continues throughout January at the Hardiman Building and allows you to visually explore some highlights from the Robinson archive that tracks his career and achievements, from his cartography of the Aran Islands and the Burren, to his celebrated trilogy of books on Connemara and also to learn of related collections within the archives of the Hardiman Library. 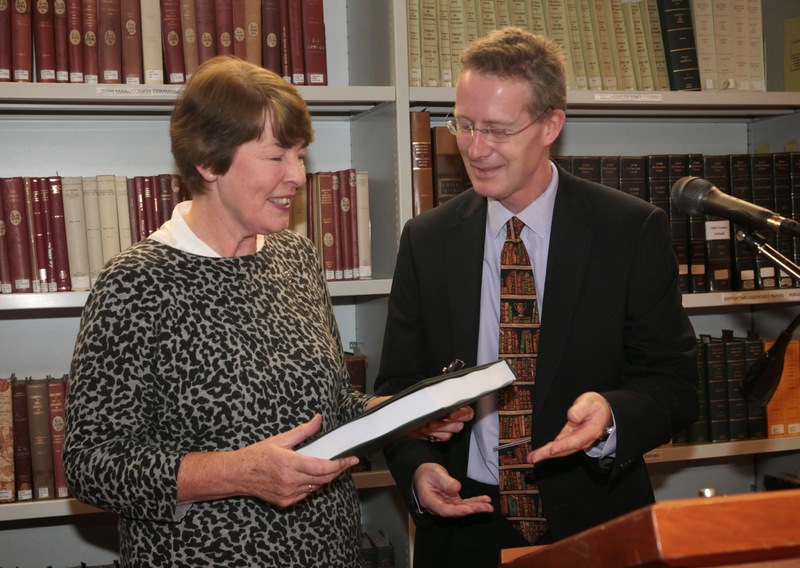 The Professor Kevin Boyle archive was formally launched at the Hardiman Library on 28 November 2014, by the Attorney General, Máire Whelan, S.C. 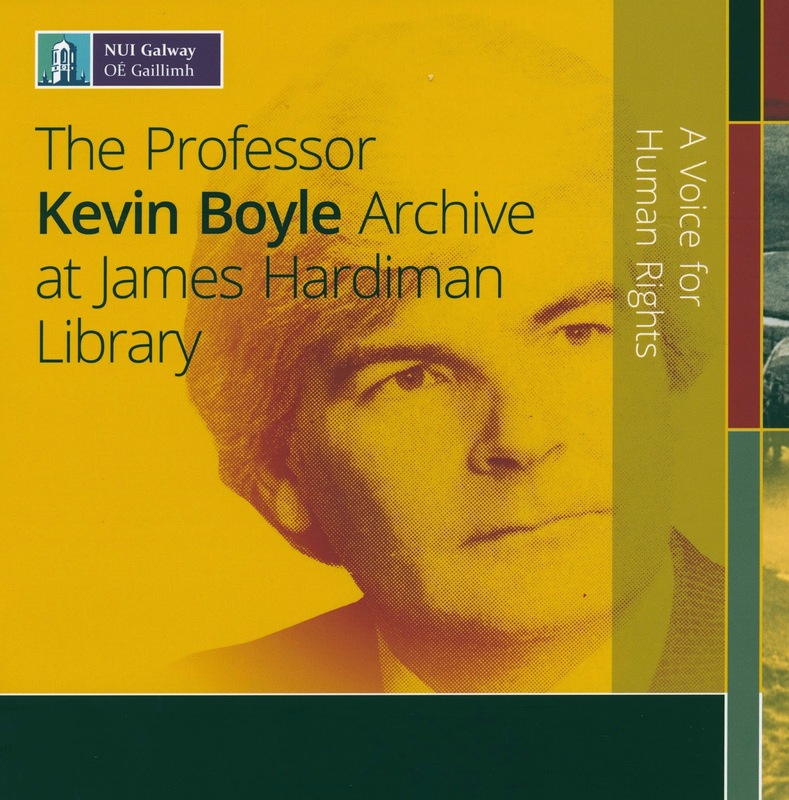 The archive, kindly donated by the Boyle family since Kevin’s untimely passing in 2010, has now been catalogued by the University’s James Hardiman Library, and represents a major resource for the study and teaching of law and human rights. Former President of Ireland, Mary Robinson, speaking via video presentation at the symposium, welcomed the fact that the archive of the late Professor Kevin Boyle will be housed at NUI Galway. She said: “I'm glad that his papers will enrich scholarship and activism from Galway for the betterment of the world in future.” The world-renowned human rights lawyer and scholar, Professor Kevin Boyle, served as a special advisor to Mary Robinson from September 2001, when she was UN High Commissioner for Human Rights. The Kevin Boyle archive includes letters between Boyle and various others involved in the Northern Ireland Civil Rights Movement and People's Democracy, such as Bernadette McAliskey and Michael Farrell, both of whom were speakers at the recent symposium; material relating cases argued before the courts in Ireland, the U.K. and at the European Court for Human Rights, by Kevin Boyle, records from Kevin's time as founding director of the international NGO, Article 19 as well as his extensive academic career in Galway, Essex and internationally. The archive offers a new and engaging insight into emotions, tensions and experiences in Northern Ireland from the late 1960s and onwards through the 1970s and a detailed account of the role of activism and academia as areas such as freedom of expression, press freedom and censorship, religious belief and a wide ranging cross-section of law and human rights issues. 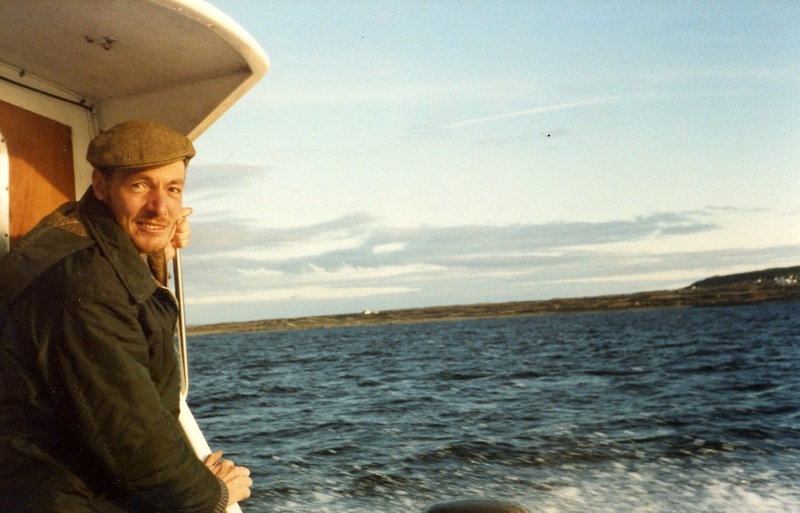 “The Kevin Boyle archive bears witness to a life lived greatly in the pursuit of justice by a charismatic man whose indefatigable optimism influenced so many others to continue his good work throughout the world”, said Professor Donncha O’Connell, Head of School of Law, NUI Galway. The archive is accessible at the Hardiman Research Building in the Archives and Special Collections Reading Room. As part of the Galway Music Residency Programme, a performance by the Contempo String Quartet will take place in the foyer of the Library at 1.00pm,Wednesday 21st January. The performance will include both contemporary and classical music from Egypt to Argentina. Throughout over twenty years of violent conflict in Northern Ireland a secret channel of communication linked the IRA to the highest levels of the British government. At the heart of this channel was a single intermediary, Brendan Duddy. His house was the venue for secret negotiations between the British Government and the IRA throughout 1975. He managed the intense negotiations over the Republican hunger strikes in which ten men died (1980-1981) and he was at the heart of the contacts (1991-1993) that culminated in a secret offer of a ceasefire that was a precursor to the public IRA ceasefire of 1994. 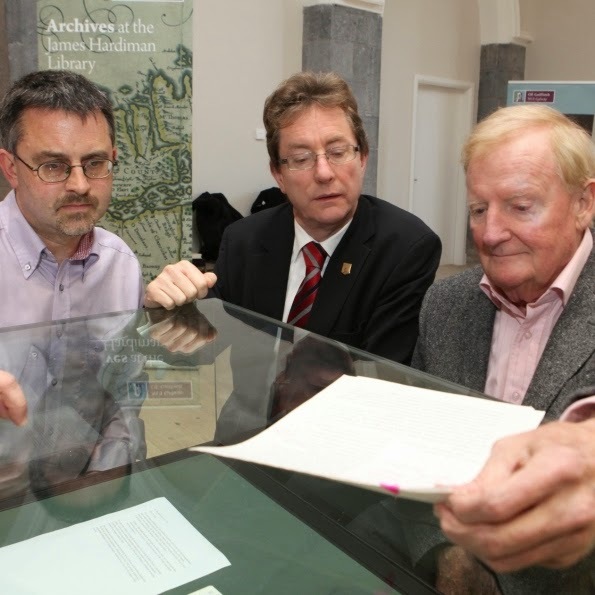 Deposited at the Hardiman Library, NUI Galway, the archive of Brendan Duddy provide a unique insight into this channel from the perspective of an individual who operated at the intersection of the two sides. The papers include coded diaries of contact kept by Duddy throughout 1975 and early 1976 and a diary kept for several months in 1993 when communication between the British Government and the IRA was at its most intense, as well as documents exchanged between the British Government and the IRA. Taken together with the Ruairí Ó Bradaigh papers, also at NUI Galway, these archives provide a window on the secret back-channel negotiation that was one of the most intriguing aspects of the Irish peace process. A recent article published in the London Review of Books and written by BBC journalist Own Bennett Jones, explores in detail the effect a single coded message, whose origins and author are still highly contested today. 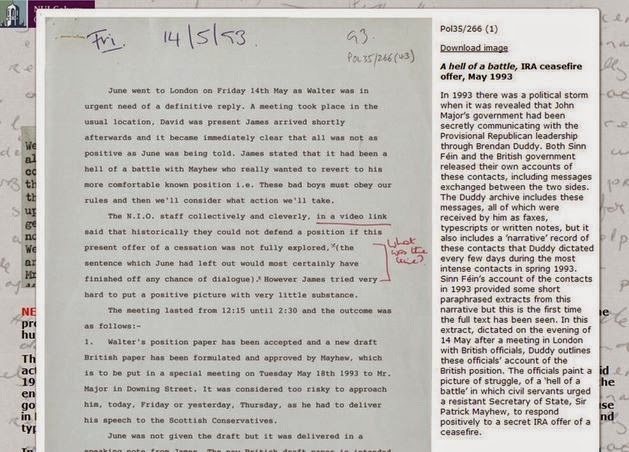 Owen Bennett Jones tells the story of how Duddy, MI5 operative, codenamed 'Fred' and a note to the British Government headed by John Major, said to have been authorised by Martin McGuinness, declared, "The conflict is over". 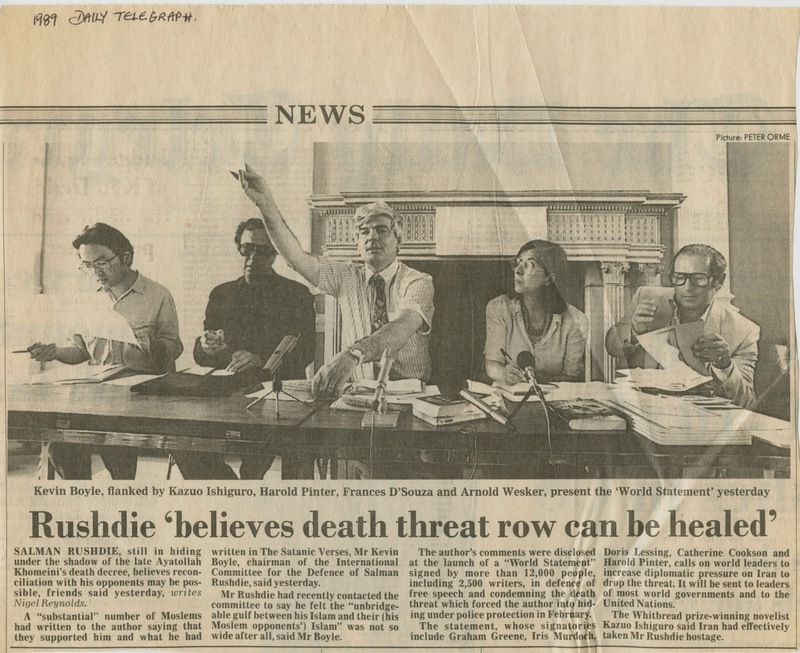 An online exhibition of selected material from the Duddy Archive, including extracts from the 1974-75 ceasefire talks and pages from 'the Red Book' kept by Duddy as he tried to broker an end to the 1981 Hunger Strikes is available here. The AWC is now open. Past users of the AWC include mature students, undergraduates, international students, Access students, and PhD students of various disciplines. All undergraduate students are invited to try their hand in the AWC Annual Writing Competition. The winner's essay will be published in the Sin newspaper and on the library website. He or she will also receive an I-Pad. Other entrants will get feedback on their work. Since 2010 our copyright license allows us to scan library material for use on Blackboard. Typically we can scan book chapters or journal articles with restrictions on the amounts that can be digitised. All instructors and teaching assistants with access to Blackboard can avail of the service. Please read on for more details. We can scan up to 5% of any library book (or a single chapter, whichever comes first) and make it available on specific Blackboard courses in high-quality, searchable PDF format. The service also applies to articles from print journals in the library - a single article or 5% of the issue. We can upload as many different chapters to your Blackboard course as you like - as long as no two chapters come from the same book. This all follows on from the library's Reading List Support Service. Every year, instructors are invited to submit the reading list for their course so that staff can check the availability of course material in the library. Where necessary, the library can order extra copies of books, or, in the case of high-demand titles, put some on short loan. If requested, the digitisation centre can scan individual chapters for Blackboard under the guidelines laid out above. There's more information about our scanning service here. Anyone interested in finding out more is welcome to contact our digitisation team at the Digitisation Centre (next to the Special Collections Reading Room on the ground floor of the new Hardiman Research Building); alternatively lecturers can request chapters for scanning via our web help desk. More information about what we can and can't scan for Blackboard is available at the digitisation centre's Chapter Scanning FAQ. This post has been brought to you by the Library's Digitisation Blog. 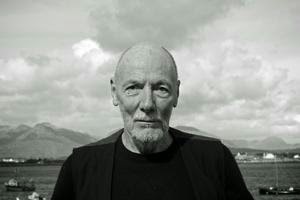 Late 2014 brought the exciting news that the exceptional writer and cartographer, Tim Robinson, would deposit his archive with the Hardiman Library, NUI Galway. Encapsulating a lifetime of work committed to documenting the Irish landscape and in particular the regions of Connemara and the Burren and also the Aran Islands, the Tim Robinson archive is an incredible insight and record of how the landscape has been studied, mapped and documented and now this archive will be catalogued and made accessible for research at the Hardiman Library. 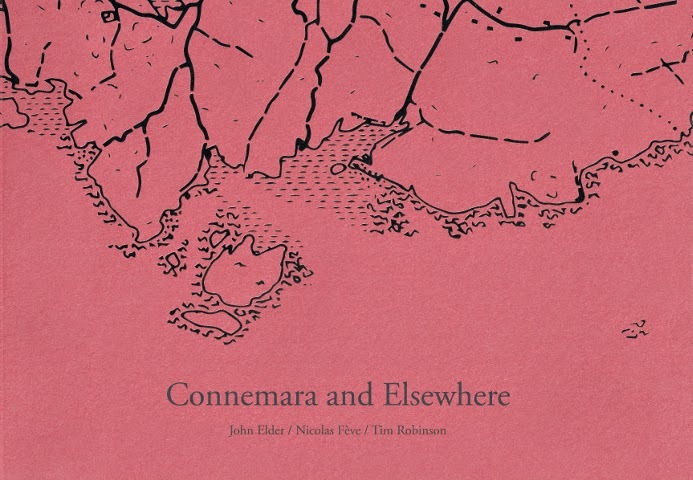 To celebrate this archive, a new book entitled Connemara and Elsewhere, edited by Prof. Jane Conroy, was published by the Royal Irish Academy in association with NUI Galway. Also, Vincent Woods, host of RTE Radio's Arts Tonight series, visited the Hardiman Library to view and explore the archive as well as visit and interview Tim Robinson himself at his home in Roundstone, Co. Galway. The Interpreting Landscape exhibition opening up the Tim Robinson archive continues throughout January at the Hardiman Building. A great piece exploring the riches of the Abbey Theatre Digital Archive at the Hardiman Library, NUI Galway was aired on "Dúiche", programme, TG4 recently. "Duiche" presented by Síle Nic Chonaonaigh, features in-depth interviews with Hardiman Library Archivist Aisling Keane and Marianne Ní Chinnéide, Centre for Drama, Theatre and Performance, NUI Galway, showcasing the scale and scope of the digitisation project and also its implications for teaching, research and learning at NUI Galway. With over one million items of multi-format material available at NUI Galway when the project is completed, it comprises one of the world's greatest theatre, literary and social history collections. You can watch the programme at the following link with the segment on the Abbey Theatre Archive beginning in the second-half of the programme at c. 11.30 minutes in. Oxford Bibliographies in Social Work - Now available! "As a discipline grounded in social theory and the improvement of peoples’ lives, social work scholarship necessarily shifts and changes along with society, which leads, in turn, to an ever-growing body of literature. Scholars and professionals must keep abreast of new discoveries, interpretations, and theories in the field, and thus require access to the most recent developments. With Oxford Bibliographies in Social Work, students and researchers will have a reliable and up-to-date place to start their research. Unlike traditional bibliographies and the online abstracting & indexing services, Oxford Bibliographies in Social Work provides a much-needed filter to the avalanche of scholarly information now available." - extract from the website. Counseling and Therapy in Video Series - Now Available! A multi-part online collection of over 1,000 hours of training videos, re-enactments and footage of actual therapy sessions. Come in out of the rain and let us show you around the Library and its services! Welcome to all the Students who have recently arrived in Galway. I'm afraid there's not much we can do about the weather, but come in out of the rain and let us show you around the Library. To help you find your way around the Library and the Library's services, we are running Getting Started in the Library training sessions every day this week. This is essential training for all students - in just 30 minutes you will learn how to find your way around the Library, what services are available and how to find the books you need in the Library. Access to British and Irish Women's Letters and Diaries is now available from the library website. This edition of the collection includes approximately 90,000 pages of published letters and diaries from individuals writing from 1500 to 1900, including several thousand pages of previously unpublished materials. Drawn from 290 sources, including journal articles, pamphlets, newsletters, monographs, and conference proceedings, much of the material is in copyright. Represented are all age groups and life stages, all ethnicities, many geographical regions, the famous and the not so famous. What academic skills do you think first year students need for success at University? Do you know of the supports available in NUI Galway to help students develop those skills? Academic staff, please complete our survey and tell us what you think about the skills supports needed and available at NUI Galway for first year students. Access is now available to British Theatre, Music, and Literature: High and Popular Culture (part of Nineteenth Century Collections Online) via www.library.nuigalway.ie. This collection features a wide range of primary sources related to the arts in the Victorian era, from playbills and scripts to operas and complete scores. These rare documents, many of them never before available, were sourced from the British Library and other renowned institutions, and curated by experts in British arts history. Covering more than a century, British Theatre, Music, and Literature is without equal as a resource for 19th century scholars. This unparalleled collection provides a detailed look at the state of the British art world with, for example, not only manuscripts and compositions, but also documents such as personal letters, annotated programs, meeting minutes, and financial records, offering scholars an unmatched glimpse into the inner workings of the arts world and life in Victorian Britain. Access to North American Theatre Online is now available via the library website. North American Theatre Online is a comprehensive reference work covering all aspects of the Canadian and American Theatre. It includes some 40,000 pages of major reference materials, together with records to approximately 30,000 plays, 57,000 people, 5,400 theatres, 22,000 productions, and 2,500 production companies. Each year more than 20,000 new records will be added. The collection also includes approximately 10,500 images, playbills, postcards, scrapbooks and other resources. When users try to view Alerts in My Blackboard, there are no details being shown. There will be a badge indicating there are updates, and there are courses that show as having updates, but when clicking on the course to view the actual updates, no content is loaded. If all of the courses with updates have a problem, there will be a message that states nothing requires your attention. This has been confirmed by Blackboard as a known issue. Blackboard is working on a solution but there is no estimated date for when it will be resolved. The sessions cover how to manage references using EndNote and how to use the 'cite while you write' feature. It is important that you are already familiar with searching databases (e.g. Business Source Complete) before doing this workshop. Trainer: Trish Finnan, Subject Librarian, Business and Economics. Attend a brief training session in the Library. Learn how to search the Library catalogue to find books, journal articles and other information sources. Sadly, Swets, the company who have supplied many of our journals (print and electronic) for the last 15 years have entered into administration. We are currently in the process of transitioning our subscriptions to a new company, and during that time we may experience some loss of access to e-journals or interruption in the supply of print journals. Please note that the vast majority of our e-journals are provided to us via IReL and these are unaffected. If you notice a loss of access to a journal that the library catalogue indicates we should have access to, please let us know by logging a ticket at http://servicedesk.nuigalway.ie. Please accept our apologies for any inconvenience this causes. 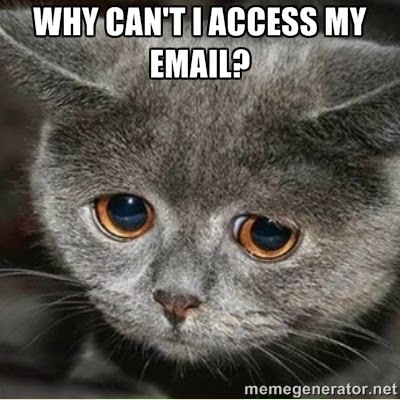 Some students cannot access their student email account this afternoon. Impacted students had two passwords – one password for their campus account (Blackboard) and a different password for their student email account. The change implemented today, replaced a student’s email password with their Campus Account (Blackboard) password. If you cannot access your student email account, please ensure you are using your Campus Account (Blackboard) password to log in to your student email account. If you have forgotten your Campus Account password, you can reset your password using CASS -https://cass.nuigalway.ie.